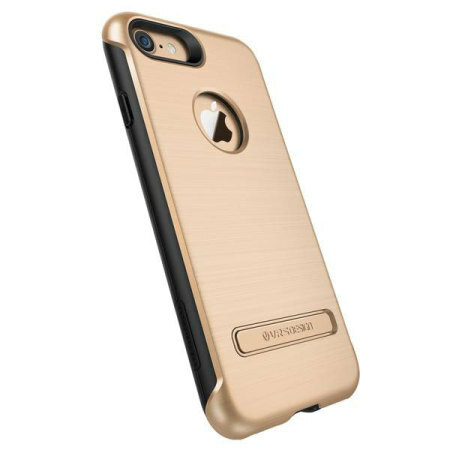 Protect your iPhone 7 with this precisely designed case in champagne gold from VRS Design. 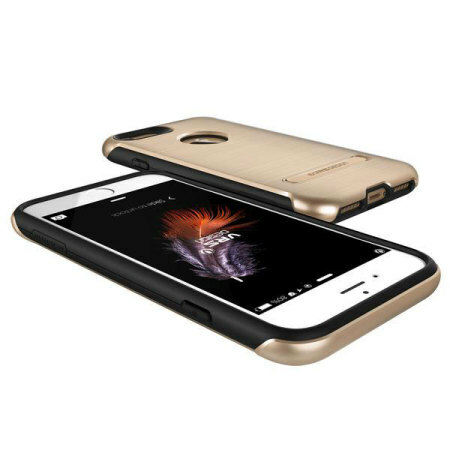 Made with tough, durable yet slim materials, this hardshell construction with shock absorbent core follows the curves of your phone perfectly. So happy with this phone cover! It looks so good on the phone and hasn't made it too bulky. The stand works well with a magnet to keep it closed when not being used. However it only has one angle. Overall a simple yet professional and functional product. 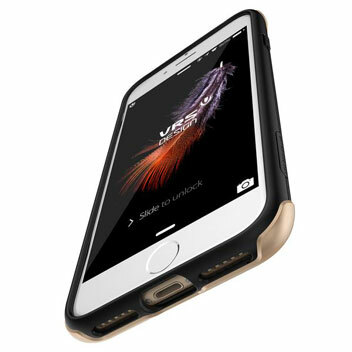 Protect your phone from scratches and knocks with the VRS Design Duo Guard Case for the Apple iPhone 7. Featuring a hardshell construction that is tough enough to protect your device, without adding unnecessary bulk. 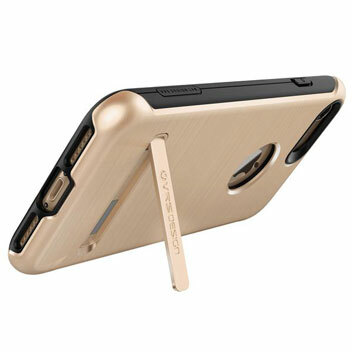 Designed with both form and function in mind, it is comparatively slimline providing the protection your phone needs without adding the extra bulk. Therefore, while being protected at all times, your iPhone 7 will still easily fit within a pocket or a bag. 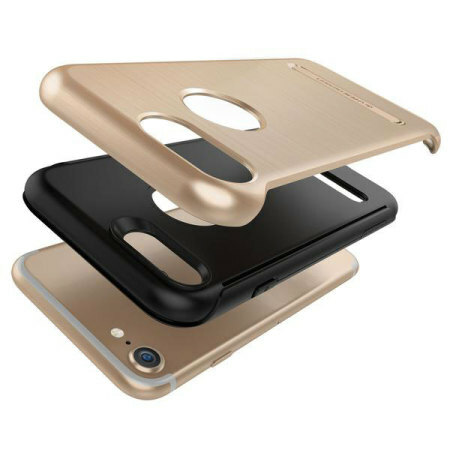 The rubberised edges surround the sides of the case, providing anti-slip protection so you can be assured of a good firm grip on your iPhone 7. 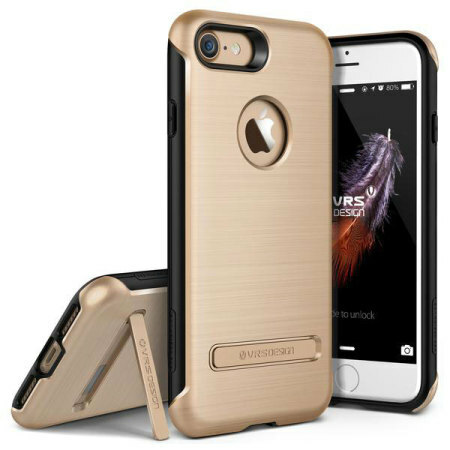 With a stylish brushed metal effect design, the VRS Design Duo Guard for the iPhone 7 provides your phone with an attractive protective case that is sure to be noticed by your family, friends and work colleagues. What sets this case apart from the norm is that this one has a built in magnetic kickstand. This makes watching videos and other media much easier as it props your phone up in a landscape orientation. The Duo Guard features cut-outs for all of the ports, such as the charging connector and camera. This also means you can leave the phone in the case and enjoy all of its features, ensuring it is protected at all times. Designed with the phone in mind, this case compliments the features of the iPhone 7 so it looks just as good with the case on as it does off.